The Withings Wi-Fi would have been alien technology in the 1950s. "What do you mean, this scale posts your weight on the 'internet', and then graphs it on your 'iPhone'"? And yet, folks, this is our world today. The Verdict : Expensive, but worth it. How do we justify a $US160 scale when normal scales are $US20 at Target? Think about when the last time your parents replaced their bathroom scale. Was it before you were born? Was it never? $US160 isn't too much when you spread it out over a lifetime. 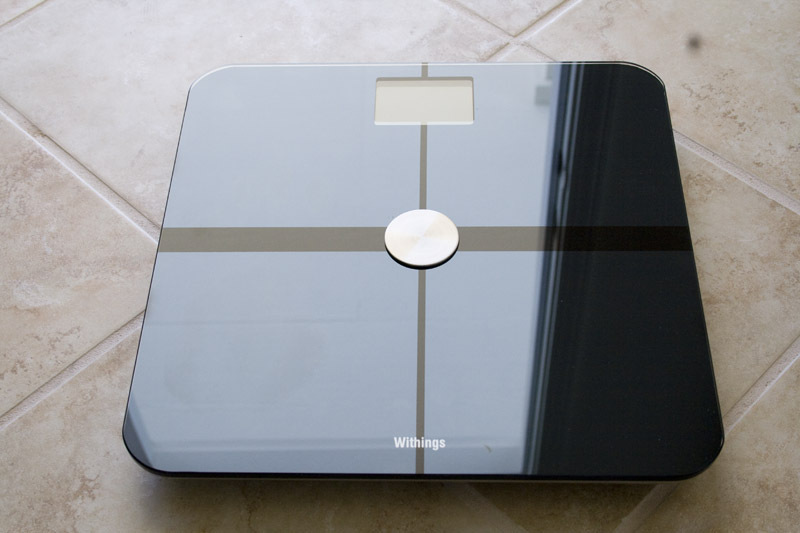 But even if you you just look at the features, the Withings scale is worth it. On the "weighing you" side, it reports your weight in pounds, kilos or the weird British stone, plus calculates out your fat mass and BMI. The top of the scale is made out of, in their words, "tempered glass slab, covered with a layer of metal", which looks and feels classy. The whole thing feels modern—again, the complete opposite of a normal filthy bathroom scale. After the Withings weighs you, it'll send all three data points online, to their free website, where it charts and graphs it for you. You can even have different users in your family, each with their own separate data graphs. And here, for example, is a kid being tracked as she gets older—not a person devolving into a serious eating disorder. And if you have an iPhone/iTouch, you can access your chart via the free app as well, in case you want to show off to your friends how much weight you're losing.